A waterfront home is a dream for many people; it seems luxurious, and comes with a great view. However, the negative aspects could cause you to rethink your living situation. A waterfront home is a dream for many people; it seems luxurious, and comes with a great view. And, of course, there are certainly benefits that come with this kind of living. However, the negative aspects could cause you to rethink your living situation. If you’re already in a waterfront home, perhaps you relate to a few of these disadvantages. Read on to see why it might be better for you to sail away. Home maintenance is a big part of why home owning is so much trouble. Even if you have the funds to complete home improvement projects, you probably hate dealing with the stress that comes along with it. This maintenance gets worse when you live in a waterfront home. Natural effects such as erosion, salt corrosion, flooding damage, and humidity can cause huge problems with your home’s state. If this sounds like it’s too much to handle, perhaps rethink your waterfront home. Since the water is your backyard, it will be inhabited by many visitors and wildlife that you might not find appealing. 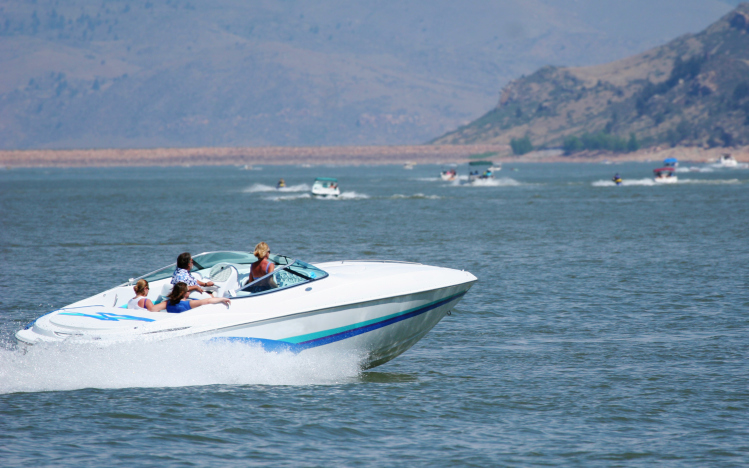 Kids playing at all hours of the day, loud boats passing, and other water activities can make living on the water a bit disruptive for your everyday life. What’s more, if you want to live where you’ll have more privacy with a water space all to yourself, you’re going to pay much more. That’s money that could be going towards many more beneficial aspects of your life. Water breeds insects. Mosquitoes, in particular, present a large problem for anyone who lives in a waterfront home. It prevents you from opening your windows, and severely dampens the excitement of lounging on the deck to enjoy your view. Likewise, water attracts birds, and they leave quite a mess wherever they fly. If you’re sick of this kind of wildlife, you’re probably experiencing the negative aspects of a waterfront home. Ready to move somewhere less stressful? The Team Edge is here to buy! This entry was posted on Friday, March 10th, 2017	at 7:50 pm	and is filed under Blog, Uncategorized . You can follow any responses to this entry through the RSS 2.0 feed. Both comments and pings are currently closed.